The Cycle to Work Scheme is a tax incentive scheme which aims to encourage employees to cycle to and from work. Under the scheme employers can pay for bicycles and bicycle equipment for their employees and the employee pays back through a salary sacrifice arrangement of up to 12 months. The employee is not liable for tax, PRSI or the Universal Social Charge on their repayments. Employees can avail of the scheme every 5 years. You can complete your Cycle to Work selection and receive an invoice right here online at kearnecycles.com. Simply follow the instructions below or watch the short video below. Once complete you will receive an email outlining how to progress with your application. Browse our wide range of bikes online - once you have made your choice add it to the basket. Continue shopping for any accessories you would also like to include and add these to the basket. Make sure you don't exceed the €1000 limit. Once you have everything in your basket proceed to checkout. Enter your Employer Details in the Billing Details and Your Details in the Shipping Details. In the Payment Section choose Cycle to Work as your payment option. You will then receive an email with the confirmation order and a second email with the invoice attachment and instructions on how to proceed with application. 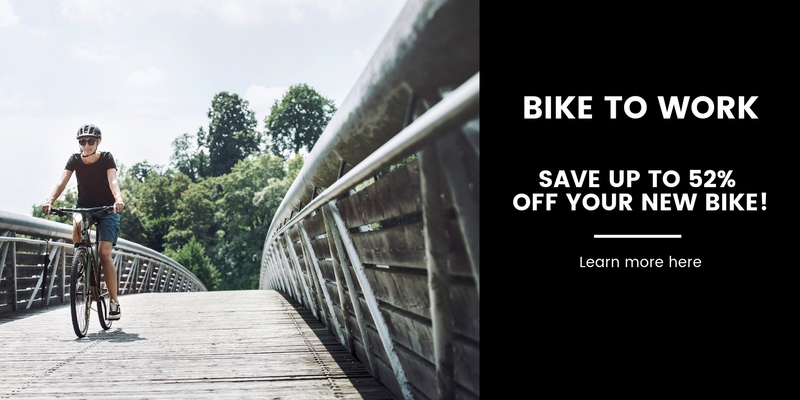 Save up to 52% off the price of the bike up to €1,000 depending on which tax bracket you fall under. The tax saving applies to all bikes, electric bikes and accessories. Save on monthly fuel, parking, and public transport costs. Get Fit – enjoy the health benefits of cycling to work. Beat the traffic; cycling is twice as fast as a car in commuter traffic. No administration charges with Kearney Cycles by having a single point of contact for everything. Improving staff fitness, health and morale. A healthier, fitter workforce means better performance at work and fewer sick days being taken. Alongside walking and swimming, cycling is widely recognised as one of the most accessible forms of physical exercise for all ages. It has been shown people who cycle regularly will have an improved quality of life as it provides the cardiovascular exercise needed for a healthy heart. Enhancing your Company's Environmental Image. Cycling-To-Work reduces carbon pollution and traffic congestion on the surrounding areas. These points demonstrate beyond doubt that you are an employer who has a clear sense of social responsibility for both your staff and your customers.